There are many handy tools offered by the most commonly used applications that users often overlook. 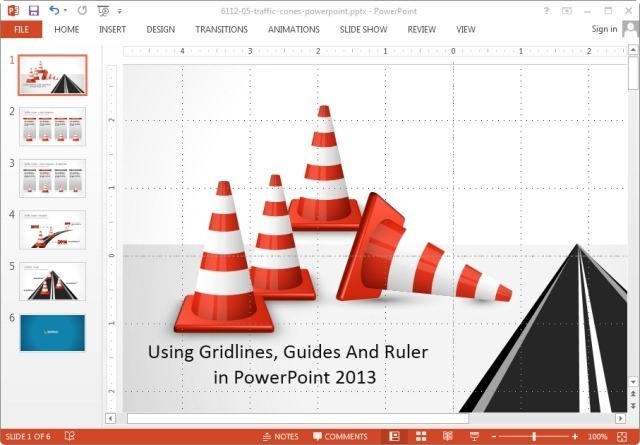 For example, the Ruler in PowerPoint 2013 is more useful than you might think. Anyone who has used PhotoShop or a tool where precision in alignment of objects is important, would know the true value of having a Ruler to guide you. 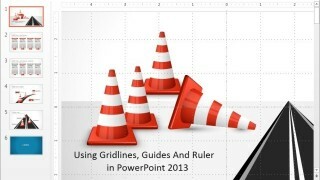 In what is to follow, we will explore the utility of Gridlines, Guides and Ruler in PowerPoint 2013 and show you just how useful they really are. 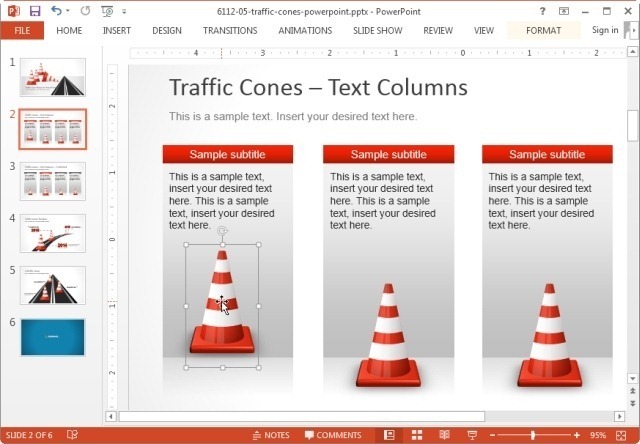 To display one or all of these three tools, go to the View tab in PowerPoint 2013 and enable the respective checkboxes (as shown below). 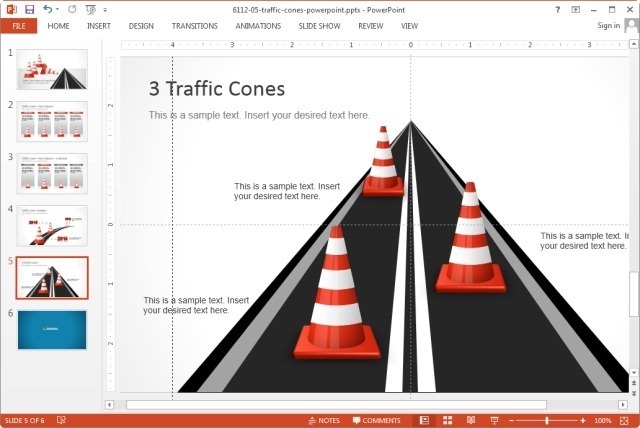 For the purpose of this post we will reveal each feature step by step, starting with the Ruler and use the Traffic Cones PowerPoint Template. 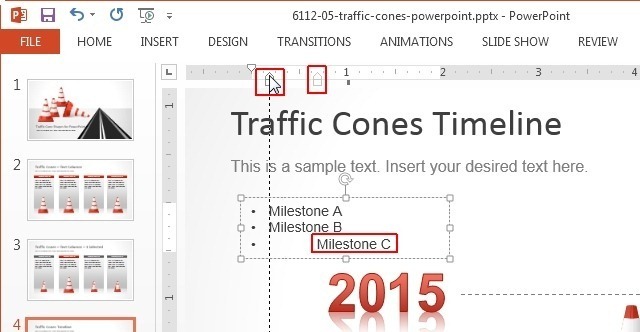 This template is particularly useful for this tutorial because it offers customizable PowerPoint shapes with movable roadblock symbols and slides that can be used for making presentations with timelines, milestones, comparison slides, etc. 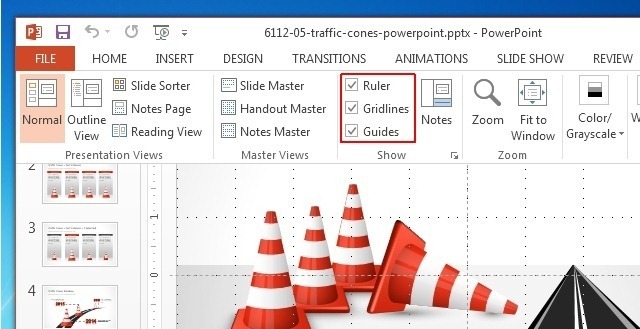 One of the biggest advantages that the ruler can offer is to accurately determine the alignment of objects and lists in PowerPoint. The below screenshot demonstrates how you can move and place objects with a desirable proximity to other slide elements using the Ruler. 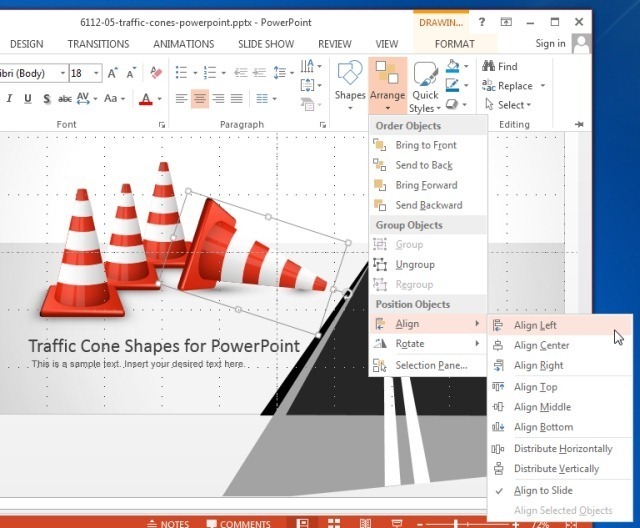 It is advised to preview your slides in Slide Show mode to determine if the objects have been placed in the right alignment. In case you are wondering why might alignment of slide elements be important, it is naturally a good thing to have your slide objects appropriately and proportionately adjusted on the slide rather than appearing crooked and out of place. The Ruler however is not only good for getting the alignment right for objects as perhaps its biggest advantage is fixing of bullet lists and text. Many a times copied text can become a hazard for your slides, as the text can appear out of place. You might even find it hard to fix this problem by using basic editing tools. The easy thing to do is to select the textbox, go to the text that is out of place and drag the Indent Markers to fix the alignment. The below screenshot demonstrates how you can fix a list or out of place text by using the Indent Markers. To adjust the guides to your advantage, you can add additional lines via right click-menu to additional or horizontal lines to help you set a pattern that is appropriate for your slide design. You can also change the spacing and align objects to grid by selecting Gridlines and Guides option from the right-click context menu. This will provide you with two very important features, i.e. 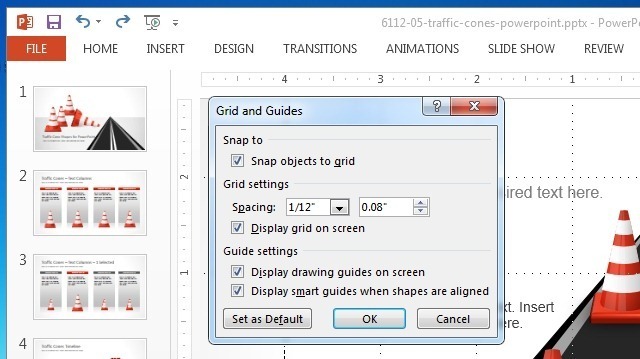 to select the spacing for your lines and to snap objects to grid. The latter, allows snapping objects to the closest intersection of lines within the grid. To further aid your work, you can also select alignment options from Home tab by going to the Arrange menu. This option can be used with or without Guides and Gridlines to better arrange slide objects. 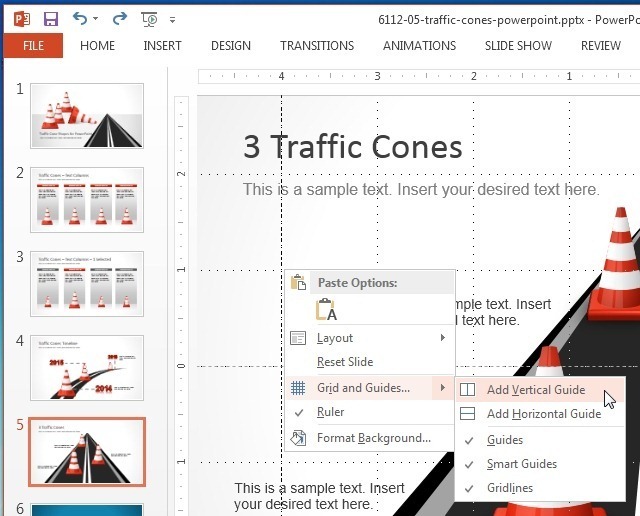 Tags: Drawing Tools, PowerPoint 2013, PowerPoint Shapes, PowerPoint Tips, PowerPoint Tools.